WTEL is southeast Nebraska`s premiere food waste recycling company. 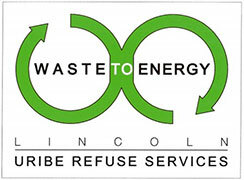 WTEL provides single-stream food waste collection services to businesses, institutions and special events in Lincoln and surrounding communities across southeast Nebraska. Dailly, weekly, monthly and one-time rates are available. Contact WTEL for more information and to schedule your service today! NEW! Starting in July 2018, the WTEL Food Waste Recycling Rebate Program will allow new customers to qualify for 20% off the first 12 months of service. Combined with additional rebates from the City of Lincoln, new customers can receive up to 70% off the first 6 months of service. With rates starting as low as $10 per week, there has never been a better time to start recycling your food waste!